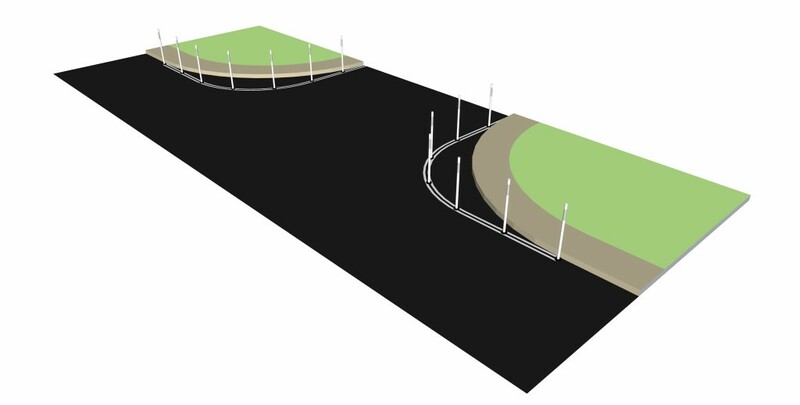 Short-term improvements (re-striping, sign installation, concrete work for curb ramps, bollards installation, etc.) were completed in summer 2017. The curb returns at the Arlington Mill Drive, Manchester Street and Patrick Henry Drive intersections with Wilson Boulevard are being reconstructed, with completion expected by mid-2019. Seek community involvement to identify physical changes to the roadway which may include permanent implementation of the "short-term improvements" and other larger modifications. Additional funding is needed in order to begin the study, and one possible source could be a Bluemont project through the Neighborhood Conservation Program. Staff is working to determine whether this is a viable source. Future funding will be sought to implement permanent street modification as identified in the community vision and study. 2015 – Year 1 of the demonstration project was implemented in the spring of 2015 based on the recommendations made in the County’s 2004 Arterial Transportation Management Study. In May 2015, the section between North Frederick and North Manchester Streets was restriped from four to three lanes with the addition of bicycle lanes. The goals of the reconfiguration were to improve pedestrian, cyclist, and motorist safety, to better accommodate all road users along this section of Wilson Boulevard. Staff began monitoring the reconfiguration and collected data on traffic flow and safety into year two. 2016 – In Year Two of the demonstration project, County staff monitored the reconfiguration further to determine whether a complete streets project — currently unfunded — is viable along the entire section of Wilson Boulevard, west of North Glebe Road, and whether additional short-term improvements are needed. After completion of the first year, traffic counts and crash records were reviewed and a recommendation was made to continue the 3-lane section while looking for pedestrian crossing improvements and an extension for the section immediately west of North Manchester Street. Improvements to signage and markings for the transitions from 4 to 3 lanes at either end were also recommended. 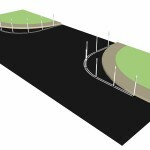 Late in the year, meetings with nearby residents (through civic associations) were held to get feedback on a proposed plan for additional “short-term improvements” aimed at pedestrian crossings, extending the bicycle lane west, signage and markings, and side street vehicle traffic access to and from Wilson Blvd. 2017 – In Year Three, the County hosted a community open house on April 6 at Ashlawn Elementary School, sharing an update on the plan for short-term improvements that will be installed in the same year. 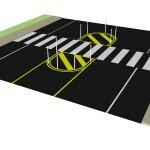 Improvements largely consist of intersection enhancements for pedestrian safety, marking additional crosswalks with marked median/islands, and other short-term improvements (no significant hardscape work such as concrete medians, sidewalk expansion) identified by community members. 2018 – In Year Four, once funding has been secured, staff in the Transportation Planning Bureau, the Neighborhood Conservation Program, residents in the Bluemont Civic Association area, as well as other local community members, will work to finalize a scope of work for the long-term transportation planning study of the corridor. Community meetings with neighborhood stakeholders on additional short-term improvements took place in fall 2016 and spring 2017. A community notification meeting took place in March 2015. An open house community meeting took place in November 2014. County staff held meetings with key neighborhood stakeholders from Bluemont, Dominion Hills and Boulevard Manor in July 2014. There were no net costs to the County for the demonstration project, which was implemented as part of the ongoing repaving and restriping program. The short-term improvements are funded either through the County's on-going repaving and restriping program or the through the County's program for pedestrian safety and accessibility improvements. The planned long-term study is proposed to be funded with a combination of funds from the County's Neighborhood Conservation Program and the Capital Improvement Plan. Street modifications identified in the long-term study will be considered for funding in upcoming Capital Improvement Plans to be presented to the Arlington County Board for approval. Funding for significant physical changes to Wilson Boulevard are not available at this time.